The 29th September marks the 70th anniversary of the Munich Agreement, designed to try and contain the war-like ambitions of Nazi Germany, but which led to the beginning of World War Two. Arguably the Munich Agreement could be named the most serious foreign policy blunder of the 1930s. It came into being as a compromise by European nations towards Nazi Germany and in the infamous words of the then British Prime Minister Neville Chamberlain, it promised “peace in our time”. As Adolf Hitler's regime was gaining momentum, his threats to take over German parts of Czechoslovakia had become more frequent. After Germany annexed Austria in March 1938, Hitler was eyeing those parts of Czechoslovakia with an ethnic German population. «20 % of Chechoslovakia's population was German. The main weapon Germany used here is the Sudeten-German Home Front party. They were operating in close contact with Hitler. A huge propaganda machine was working there with the goal of joining the Sudeten part of Chechoslovakia to Germany. All of these actions were supported by the Nazis,» said Natalya Lebedeva, historian from the Russian Academy of Science. The fear surrounding a possible conflict with Nazi Germany meant no one wanted their troops to intervene. The major continental powers of the time, Britain and France, refusing to stand-up to his demands in the Sudeten land, sent one simple message to Hitler according to historians: Do what you want, we won't stand in your way. It was the height of what is since become known as “appeasement” and as they say, the rest is history. 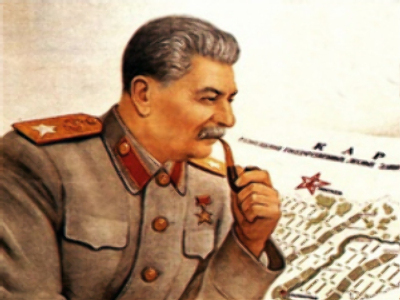 “I think that Czechoslovakia alone could have contained the onslaught of Hitler's army, especially taking into account the fact that the Soviet Union could always have helped it. According to the 1935 agreement between the two, the Soviet Union could help the Czechs only if France did the same. France was reluctant. All this led to the final stage. On the 29th September 1938, at an informal gathering of the two democratic states, Britain and France, and two Fascist states, Germany and Italy, decided the fate of Czechoslovakia without even consulting its leadership,” insists the historian of the Russian Academy Aleksey Filitov. After the sides sealed the deal, the agreement was lauded by most people in Britain and France. But sobering up came quickly, just six months later in 1939, when the German army broke the Munich Agreement and seized the rest of Czechoslovakia. As a result, Germany got the Czech military and steel factories to pump up its own offensive potential and might. And with its army up to fighting strength, the next target was Poland and this time France and Britain had to step in. Historians say that the Munich Agreement, put in place to avoid major conflict, actually doomed Europe to a devastating war that spread across the world. To mark the anniversary of the Munich Agreement, Russia’s Foreign Intelligence Service has declassified its files concerning the political bargain. The documents shed new light on the role that Poland played in Czechoslovakia’s division, said historian Lev Sotskov. The intelligence service veteran and a retired major general was the one who organised the unveiling of the archives. According to the files the “British ambassador to Warsaw telegraphed the Foreign Office to warn that Polish leadership will annexe Zaolzie region if Germany invades Czechoslovakia, which they eventually did,” said Sotskov. The region which had both Polish and Czech population ended up in Czechoslovakia after World War I. Poland annexed the region right after the Munich Agreement was sealed and Germany occupied Czechoslovakia. Sotskov said the Munich Agreement lead to the destruction of the European security system. Paris and London wanted to channel Hitler’s offensive east towards Soviet Union, and eventually Moscow had to strike a deal with Berlin. “It became obvious that the appeasement policy didn’t work and any concessions just urged the aggressor on. This compelled the soviet leadership to find new ways to secure the country,” the ex-intelligence general claims. According to Sotskov Europe must learn the lesson and establish a reliable collective security system.